So I’m in a new town and I’m a football fan who just recently jumped on the Indianapolis Colts bandwagon. So what. A fan is a fan is a fan! I have to admit a little trepidation with the Colts having to play the Baltimore Ravens especially after the beatdown they gave New England. As the week has progressed though I have come around to believe the Colts can do this. 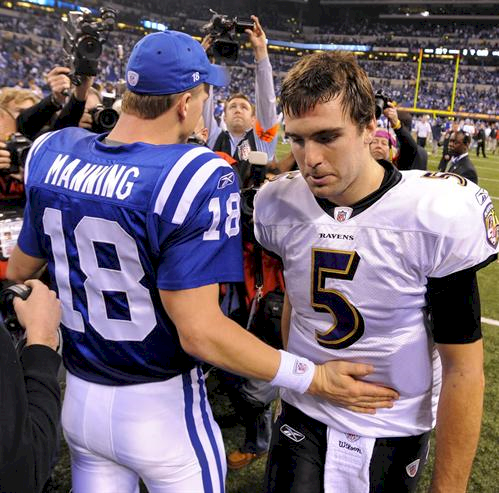 Peyton Manning is the man and I believe their offense will be too much even for the Ravens. Here is what appeared in the Indianapolis Star yesterday. These are the sports writers for the Star and the last comment is by a Baltimore sports writer. Yeah, Baltimore can run the ball and play defense. Yeah, the Ravens are on a run. 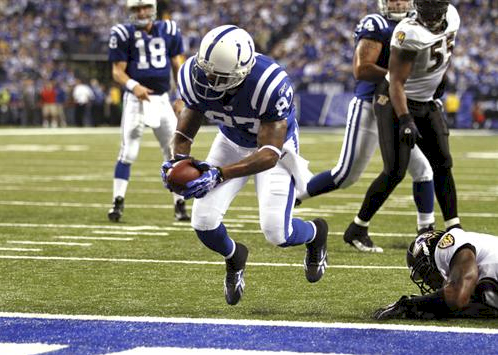 Yeah, the Colts have gone splat with mystifying regularity in the playoffs. Yeah, the pressure is on. The fundamental facts are the Colts are the better, more complete team, they have the better quarterback and passing game and they’re going to exploit that one-on-one coverage on the outside to score too often for the Ravens to keep up. The Colts have had to listen to so much negativity for three weeks, they can’t wait to get back on the field and remind the world they did, in fact, have the NFL’s best regular-season record at 14-2. Yeah, that was regular season. But what about an 0-3 record after playoff byes? See? More doubt. Nothing fires up a team more than getting continually dissed. 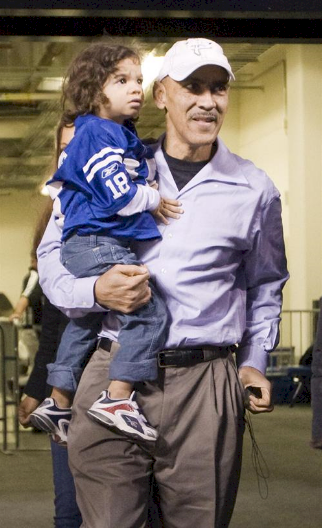 The Colts are due in so many ways. And the football artists formerly known as the Browns can’t defend a Peyton Manning offense when it’s clicking. Here’s how Baltimore can win this game: by running for more than 175 yards and by winning the turnover battle. Can they do it? Sure. Will they do it? Absolutely not. The Colts’ rested-and-ready front seven will not get gashed the way New England did. 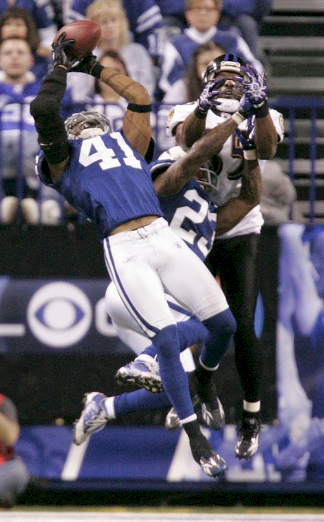 For all the talk about the Ravens’ historically good defense, the fact is, the Colts were statistically one of the best defenses in the league until the final two games skewed the numbers. Ultimately, the Colts’ prolific passing game will prove to be too much for the Ravens’ aggressive defense, with Peyton Manning remaining a step ahead of Ray Lewis and Ed Reed in terms of strategy. With Joe Flacco hobbled by a hip contusion, the Ravens will have to rely almost completely on Pro Bowl runner Ray Rice to provide an offensive spark. The decision not to retain veteran kicker Matt Stover after last season will haunt the Ravens one last time. Check back on Monday for great photo highlights of the game. You are currently browsing the archives for the NFL Postseason category.